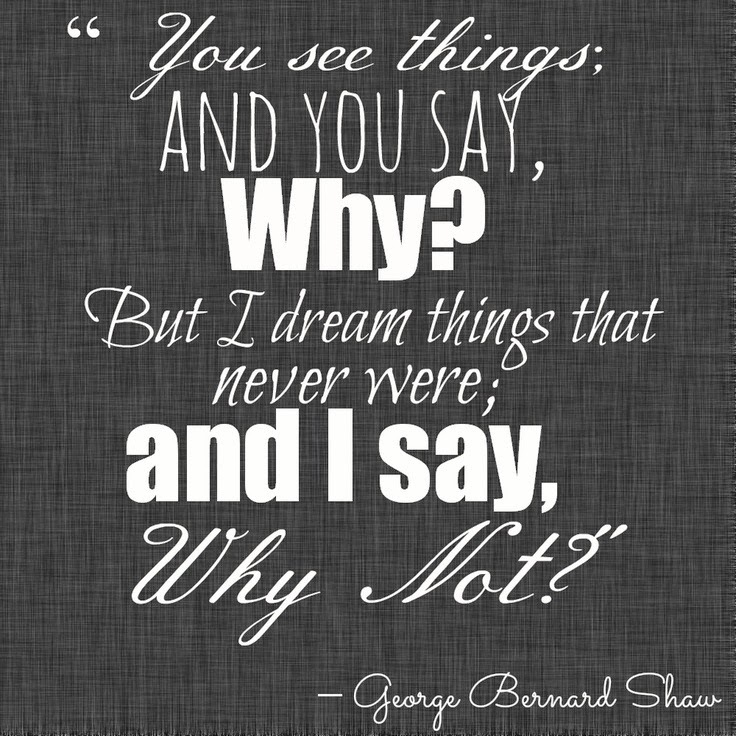 Dreams And Colour: Inspire Me- Why Not? Mondays are tough, especially in the summer. This is not news and I am not the only one who feels this way. I received a grant to hirer two students for the summer; they are both great and I'm really enjoying working with them. But Monday morning are our team meetings. We report on what we did the previous week, what needs to be done this week and divided up between the three of us. This is also a chance for me to check in with them and see how they like working with us, what I can do to help them, etc. I want this summer to be a fun experience for them and I actually want them to learn and develop skills. Which means, I try to keep the menial office tasks- such as filing and stuffing envelopes- to a minimum. I'm trying to be a good leader. I've always tried to lead by example but this is the first time where I am officially in a leadership role and I have to supervise, manage and motivate other staff. It's a learning experience for me. On Friday, both of the students told me that they really liked working for me, that it was fun. I was happy to hear that. I have used a variation of this quote since high school. Every time there is something I want to do, I ask myself "why not?" and if I can't come up with a reasonable answer as to why I shouldn't do it, I do it. This is also something I hope my summer students walk away with after this summer, that they can do anything. There is nothing stopping them from achieving anything they set their mind too. I am giving them both challenging tasks, and I'm there to help them, but I'm also letting them take the lead. I want them both to develop critical thinking skills, to think outside of the box and to approach challenges from different angles. I want them to know there are so many ways to do things- we can take different paths to get to the same destination- and there is not single or 'right' way to do anything. I want them both to have the confidence to take chances in life and know whether or not they succeeded, they are still successful for trying.